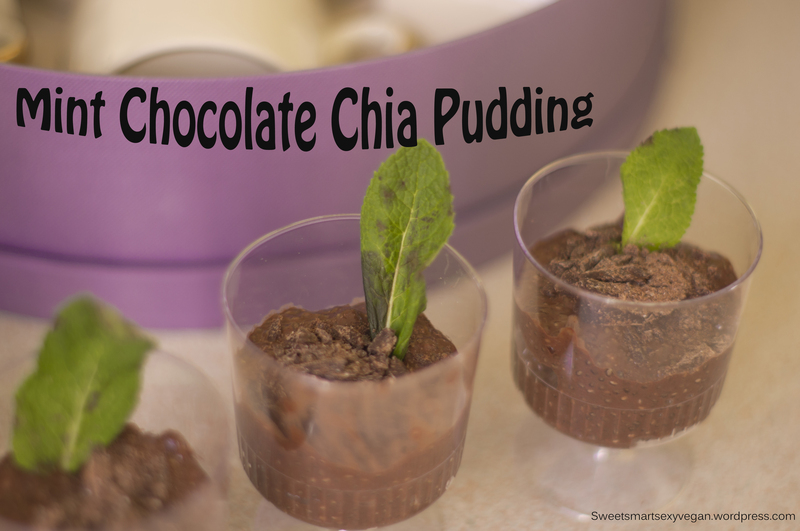 Place all ingredients except for the chocolate squares and mint leaves into a large mason jar. Mix all ingredients and place in a fridge for 12-24 hours. Upon serving, chop chocolate squares. 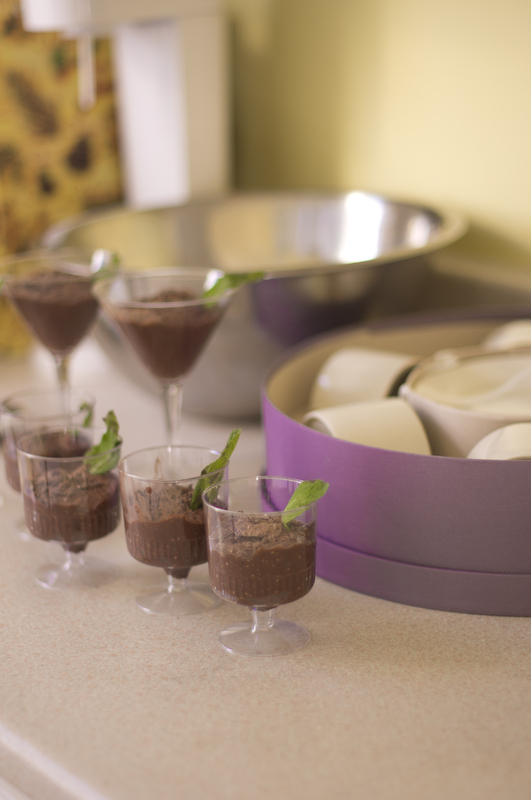 Pour pudding into serving glasses. 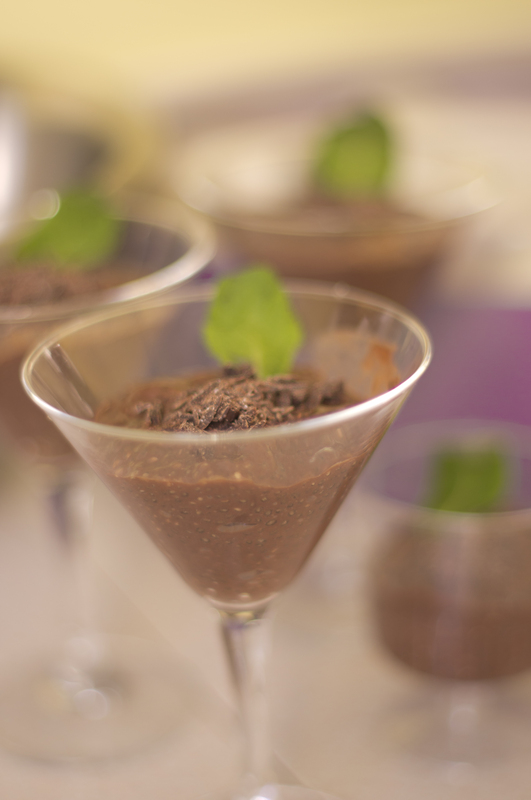 Garnish with mint leaves and chopped chocolate.